When a case of mistaken identity spirals into a more-than-complicated pretend relationship, an adventure seeker and a grammar fanatic just might’ve met each other’s match. Three weeks. That’s all the time self-made billionaire Cooper Anderson has to respond to discovering he’s a single dad, sell his lake house, and catch a one-way ticket across the world. The quick-witted nanny responding to his ad couldn’t be more of a life saver … and maybe a nice distraction. Until the secrets she’s hiding get a little too close to exposing his own. The one lead guaranteeing Quinn Thompson a promotion just has to land her back in her hometown to finagle an interview out of Mr. Elusive, of all people. But she can hack it, right? Even while mistaken for the nanny, she can keep things quick and professional. No running into her embarrassing southern family, no stirring up the wounds that’d sent her packing four years ago, and definitely no melting over a stockbroker’s unfair dimples and boyish charm. Why, oh, why doesn’t anything ever go according to plan? 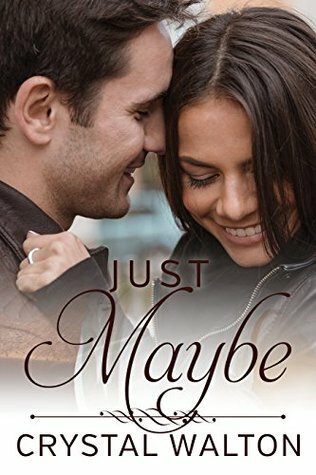 With both their deadlines closing in before they’re ready, Quinn and Cooper must decide whether the life they’re set on pursuing alone is worth more than the one they could be missing together. I've been reading (and enjoying) Crystal Walton's books from the very beginning and I have to say that I think this book might be my favorite one. I loved it. LOVED. IT. These characters were so well crafted. Each page felt like I was peeling back a layer, getting closer to the soul of who they really are. I loved that. The whole cast of characters were fantastic. Oh, and there were sparks flying around everywhere. The chemistry between Quinn and Cooper is crazy and the butterflies in my tummy were in full force. I loved their banter and all their interactions. Good stuff, that. Oh! You can pick this book up on KU if you have that. OR it's just $.99 to buy!! Don't miss this fantastic deal!! - I received a copy of this book from the author. All opinions expressed are my own.